UFO SIGHTINGS DAILY: UFO spotted at Blur gig in Hyde Park, London, England On June 20, 2015, UFO Sighting News. 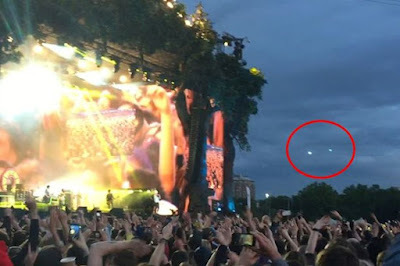 UFO spotted at Blur gig in Hyde Park, London, England On June 20, 2015, UFO Sighting News. A strange UFO was spotted at the Blur concert in Hyde Park as the band performed their classic hit Parklife. 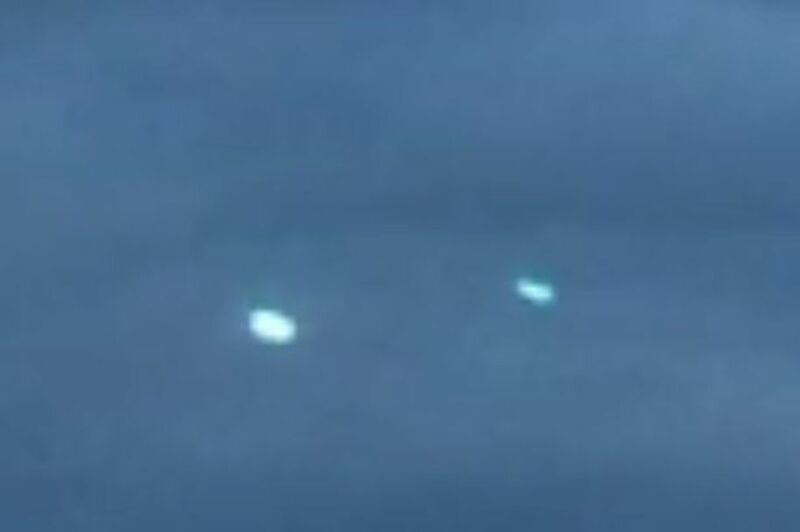 In the footage, which was shot on the mobile phone of concert-goer Diarmund Nagle, two mysterious bright, white lights are seen shooting across the sky just to the right side of the stage just as the band launch into the chorus. The lights hover in the sky for a very brief moment before they suddenly disappear into thin air, just as quickly as they came. Other festival attendees are seen holding their arms towards the sky as they dance and sing to the band's music - with most of them seeming to be unaware of the 'blink-and-you'll-miss-it' UFO light show. And even Diarmund was oblivious to the mysterious objects at the time, having simply pulled his phone out to record the band singing their famous hit. The footage was recorded as the band performed a 23-song set in London on June 20.